Make a breathtaking statement with this exceptionally lustrous and luxurious, tribal rug. 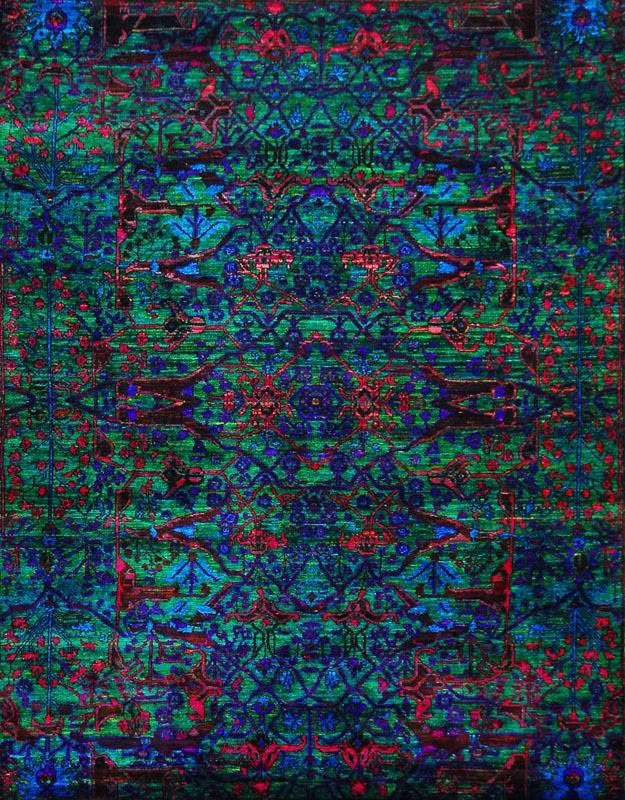 The M-29B rugs are skillfully knotted by hand in India using brilliantly colorful, vivid Sari silk to create rich visual texture and a natural sheen. Even shearing creates an average thickness of the pile that feels extraordinarily soft underfoot. The southwestern inspired design is given a truly magnificent spin, as vibrant shades of blues, greens, and contrasting accents of reds add unique flair to this piece. Each artisanal rug from our hand knotted Amaluk Collection is an original piece that is perfect for any contemporary interior and offers exceptionally long wear.